Home | Blog | Have a Hammock New Year! We’re ringing in the New Year with our latest release! The Klymit Hammock V and Klymit Insulated Hammock V which are a unique set of inflatable sleeping pads created specifically for innovating the comfort of your hammocks. Especially with this warmer weather there’s nothing quite like relaxing and lazing around in a hammock. Hammock’s are the perfect camping accessory if you want to sleep under the stars, but they often take a little getting used to a first. 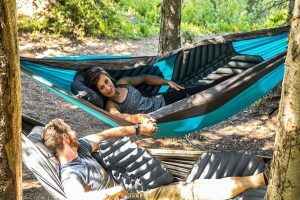 The new Hammock V is engineered to stay in place. Strategically placed non-slip zones on the top and bottom of the pad keep everything firmly in place inside your hammock. The Hammock V also includes these brand new side rail wing features which reduce the chill from hitting you during the night. 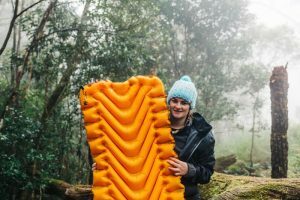 Weighing only 765 grams, and taking 10-15 breaths to inflate, the Hammock V is unlike any hammock sleeping mat on the market. 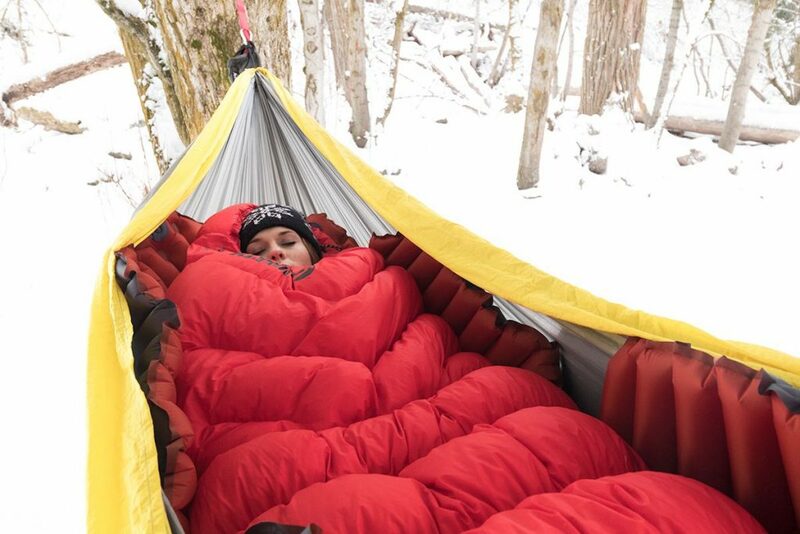 The Insulated Hammock V is the extra warm version of the Hammock V. Insulated with KlymaliteTM pads, the Insulated Hammock V will keep you cosy by isolating warmer air to the top of the pad, and staying in place with new non-slip zones. 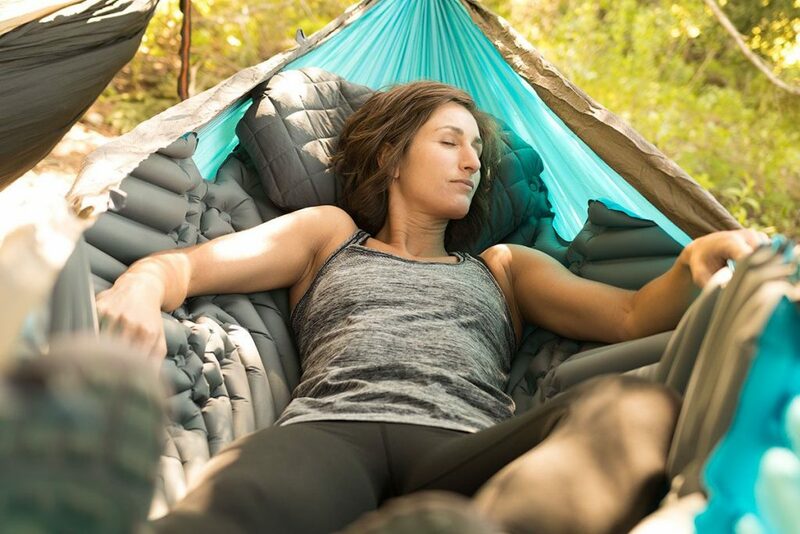 Incredibly light, it only weighs 900 grams making this hammock sleeping pad perfect for backpackers adventuring during any of the seasons. You can purchase the new Klymit Hammock V and Klymit Insulated Hammock V through our website or you can find your local retailer here.